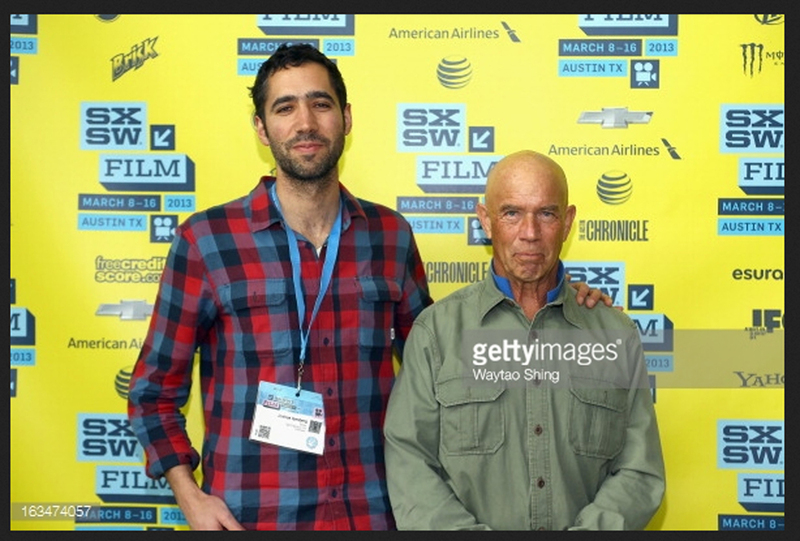 Filmmaker Josh Izenberg and Dr. John “Slomo” Kitchin pose in the greenroom at the Documentary Shorts 2 screening at the annual SXSW Film Festival in Austin, Texas. Depressed and frustrated with his life and career as a highly-successful neurologist, Dr. John Kitchin suddenly switched gears and moved to San Diego’s Pacific Beach where he very happily skates up and down the promenade every day in a radical lifestyle transformation trading his lab coat for a pair of rollerblades and his IRA for a taste of divinity. The reasons for Dr. Kitchin’s decision to surprisingly quit his distinguished medical career after many years are certainly more spiritual than financial. He formerly drove a Ferrari and a 12-cylinder BMW and lived in an ostentatious mansion. Yet today he’s blissfully peaceful as he meticulously skates up and down the beachfront promenade where everyone recognizes him as “Slomo,” knows little about his past life, but cheers and high-fives him as he skates by in slow motion. Slomo has become a Pacific Beach institution. View the award-winning documentary of Slomo's amazing transformation by Josh Izenberg here. Josh Izenberg is a filmmaker based in San Francisco. “Slomo,” his first documentary, has received more than a dozen awards including Best Documentary Short by the International Documentary Association and the jury award for best short documentary at SXSW.